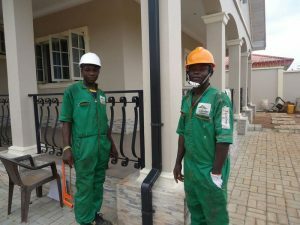 RainCache is an innovative rainwater management company, pioneering smart and sustainable rainwater management solutions in Nigeria. We cover engineering, design, procurement, installation and maintenance of bespoke RAINWATER SOLUTIONS. Our innovative technologies help solve flood, erosion, water pollution and water shortage problems. The role requires providing business development/sales/operational supports to all aspects of our ongoing and future initiatives. IT competency and digital marketing savvy. Academic excellence in Engineering, Legal, Social Sciences or Information Technology. Skilled in both Excel and Graphics. Entrepreneurial and leadership aspirations, ability to work in team. The Technician shall be capable of lifting up to 30kg, stand for an extended period of time, work at height and in outdoor environment. The position is a freelance position (you work for yourself) where you will proactively solicit and handle marketing. Attend training that will enhance your productivity. Write reports of your activities and prepare media outreach communications. A high level of creativity, drive, innovation and initiative – a self-starter. Ability to design and implement systems necessary to collect, maintain, and analyze data. Ability to prepare research reports and proposals. Proven ability to work well within a team environment without the need for close supervision. Fill out this short online application and upload your resume, if you like what we do and would like to start your career with us – Employment, Internship, Volunteer, NYSC and IT Placement !